For the past year, RGM have been developing SHE DEVIL! 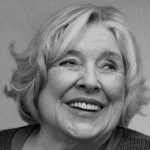 – a stage adaptation of Fay Weldon’s iconic novel, The Life and Loves of a She Devil. A workshop is taking place in January 2019, directed by the internationally renown director of Priscilla, Queen of the Desert, Simon Phillips. 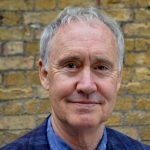 The creative team behind the adaptation are Nigel Planer (Book), Hannah-Jane Fox and Andrew Holdsworth (Music and Lyrics).